The lighthouse of Ostia signalled the entrance to the main port of the Empire, the great centre of maritime traffic that supplied the city of Rome itself. 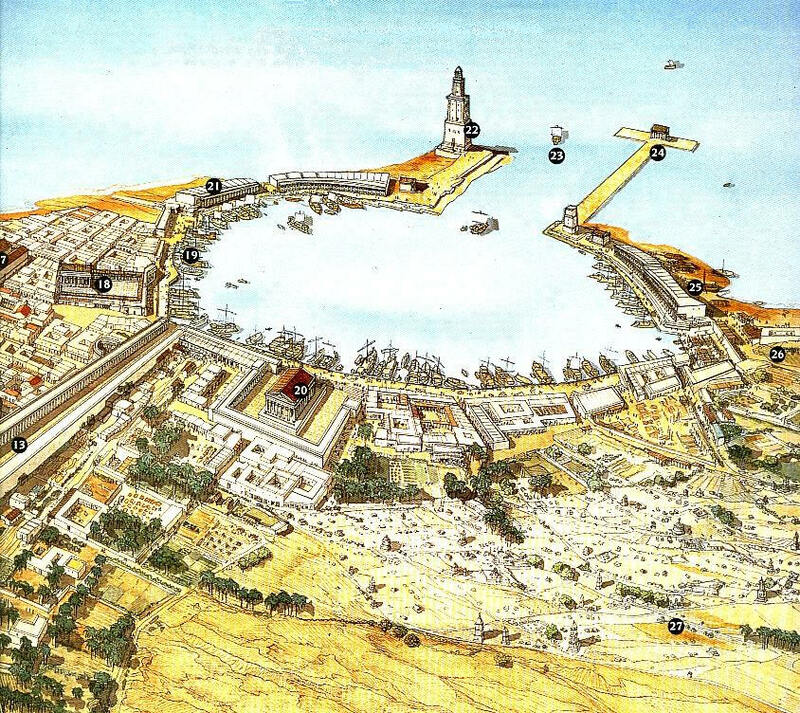 It was very close to the capital in the vicinity of the estuary of the Tiber, in the area of Ostia. 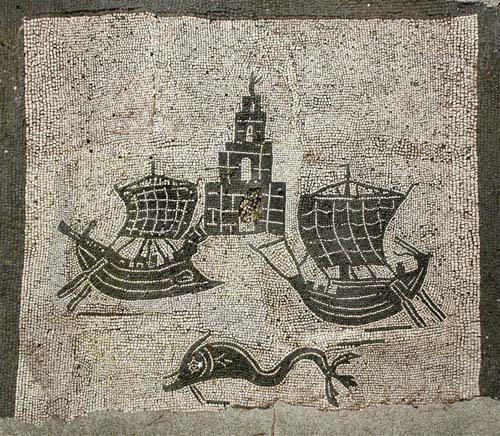 There it was the Fiumicino, the channel the place is named after, and which in the past was used to connect Portus Traiani to the Tiber and along which barges pulled by oxen took goods – wheat from Sicily, oil from Betica or huge columns of marble from Egypt – all the way to the capital of the Empire. Paradoxically, the main runway of Leonardo da Vinci Airport ends where the lighthouse built by Claudius rose, following the model of the lighthouse of Alexandria. 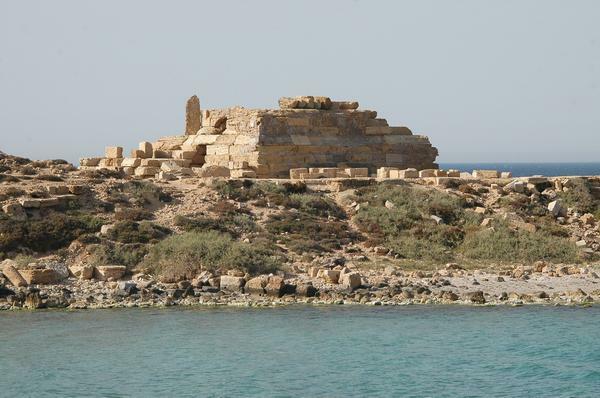 “… it was an ancient custom to mark boundaries using monuments such as these: a case in point is the small tower that the inhabitants of Regium erected by way of column at the strait of Sicily, similar to that of Pelorus, which is across the sea”. 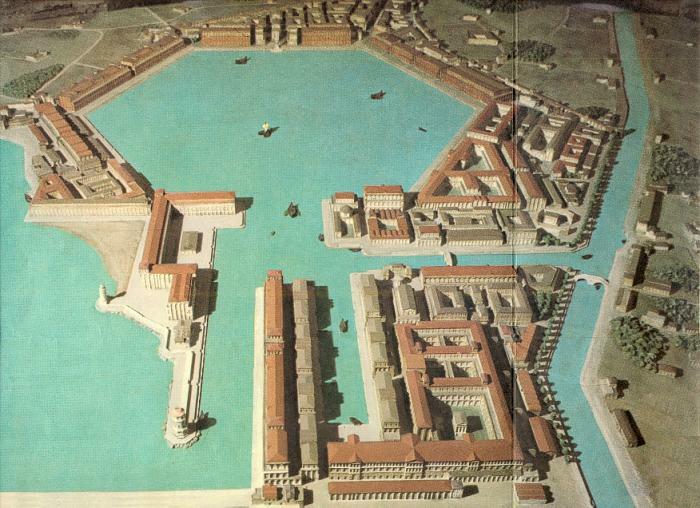 The expansion of the Empire in the first century A.D. meant that the port of Ostia was no longer able to absorb the intense maritime traffic between Rome and the provinces, thus making apparent the need to build new ports towards which maritime traffic could be sent to clear Ostia. That was the origin of the port of Centumcellae as well as of the lighthouse that was erected on an artificial island that was built to shelter the piers from the waves. This construction project was an initiative of Emperor Trajan who, between 103 and 113 A.D. gave impetus to the works in this port complex.